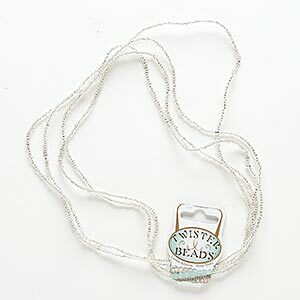 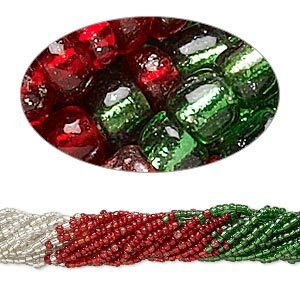 Seed bead, glass, silver-lined clear, #10 round. 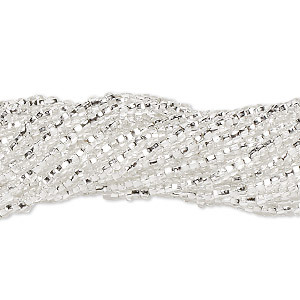 Sold per pkg of (2) 36-inch strands. 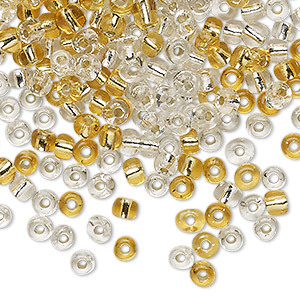 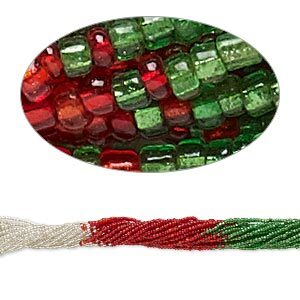 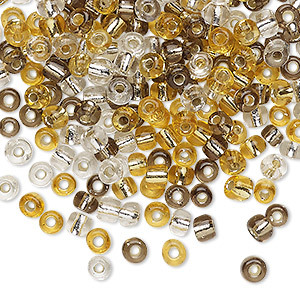 Seed bead mix, glass, silver-lined translucent clear and gold, #6 round. 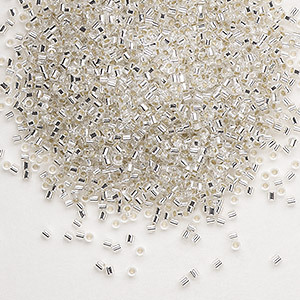 Sold per 20-gram vial. 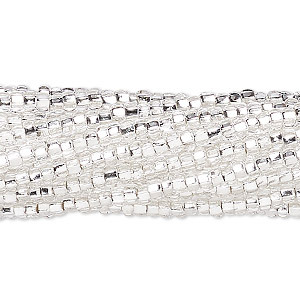 Seed bead, glass, silver-lined transparent clear, #8 round. 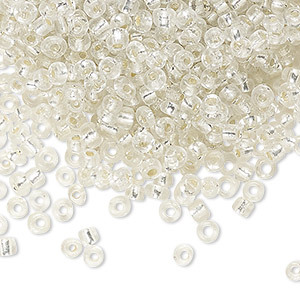 Sold per 100-gram pkg.